with special needs and their families. providers from across the Commonwealth. The Early Intervention Providers Association of Pennsylvania (EIPA) was founded in 1986. Our membership is open to early intervention providers for children ages birth through five years in Pennsylvania. Pennsylvania is divided into four regions: Northeast, Southeast, Central and West. Our membership is represented in these four regions. Each region is comprised of regional co-chairs and their members. Regional co-chairs represent their regions on EIPA’s Executive Committee along with the Officers of EIPA. EIPA was established as a 501c6 non-profit organization. Financial information is available upon request. EIPA brings together Early Intervention Providers in Pennsylvania through a unified voice to advocate for and promote quality Early Intervention supports and services. Our company became a provider for Early Intervention four years ago and initially struggled to navigate our way through the system. Another provider told us about the Early Intervention Provider Association and suggested that we join. Joining was the best decision that our company could have made. The Early Intervention Provider Association has been invaluable with helping us in our day-to-day practice. When there is something that we are unsure about – we only have to ask – and other providers can help as they have usually been through something similar. The association not only helps with specific questions, but gives us a “heads up” about what changes may be coming from the state. The annual meeting that occurs each May has been a great opportunity to network with other providers and get a feel for what has been working for them as well as what has not been working. It has saved us from going down the wrong path more than once. Our business is small – but has been growing steadily. We simply could not have grown without the guidance that the Early Intervention Provider Association has given over the years – and it is very much appreciated! We work together to expand each other’s knowledge in the delivery of quality supports to children and their families. 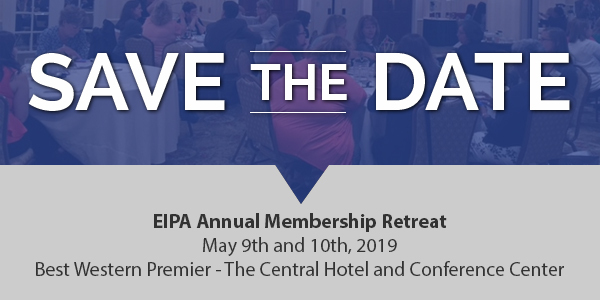 EIPA, through regional meetings, the annual retreat, website and the listserv, provides a welcoming forum in which member agencies are able to share ideas, problem solve issues, clarify regulations and learn from one another and experts in order to increase our effectiveness as early intervention providers. We advocate change which supports children’s development and enhances their abilities. EIPA members are kept informed of upcoming policy and regulatory changes, OCDEL/BEIS initiatives which affect our ability to best serve our clients. The EIPA, acting as one voice, communicates to OCDEL/BEIS the concerns, ideas and needs of the membership and seeks clarification by OCDEL/BEIS on issues affecting our clients. We support families in obtaining services which maximize each child’s developmental abilities. 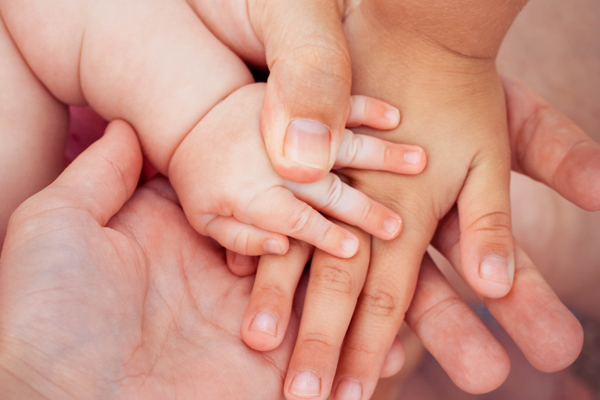 EIPA supports families in the overall development of their children through sharing of clinical expertise, coaching, services, and connections to their communities to enhance a family's capacity to meet the developmental needs of their child. The mission of the Early Intervention Provider’s Association of Pennsylvania is to bring together and represent early intervention providers in order to promote and enhance the scope and quality of services provided to children with special needs and their families. Copyright © 2017 Early Intervention Providers Association of Pennsylvania.